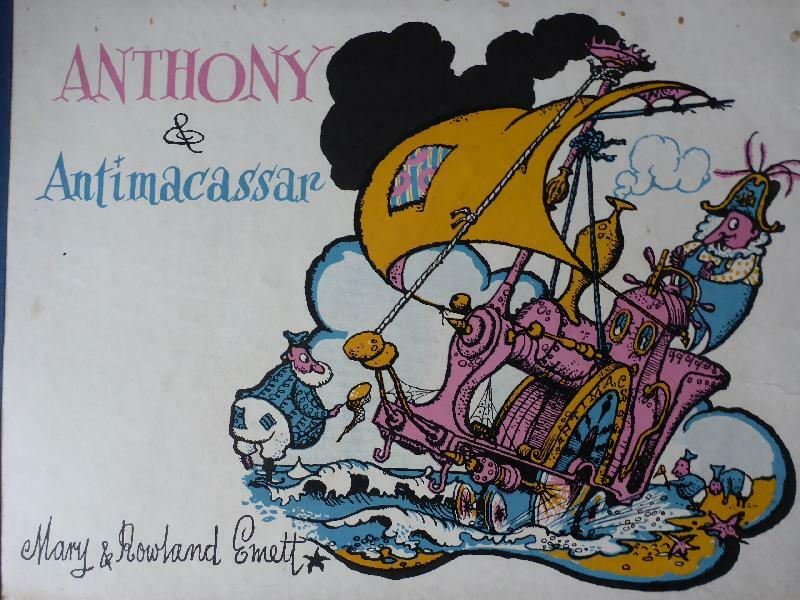 I have been working on a GN15 engine based on Rowland and Mary Emett's childrens story book called "Anthony & Antimacassar". Here's a picture of the book cover and engine of the title. I have used a Bachmann "Emily" chassis and have tinkered with some parts and a GN15 "Hattie" kit from Mike Rayner of "Smallbrook Studios" to produce something resembling "Antimacassar". Not an exact replica, more of a tank engine version of my earlier "Neptune" posted in this forum a few years back. Here is the model prior to being primed and painted. 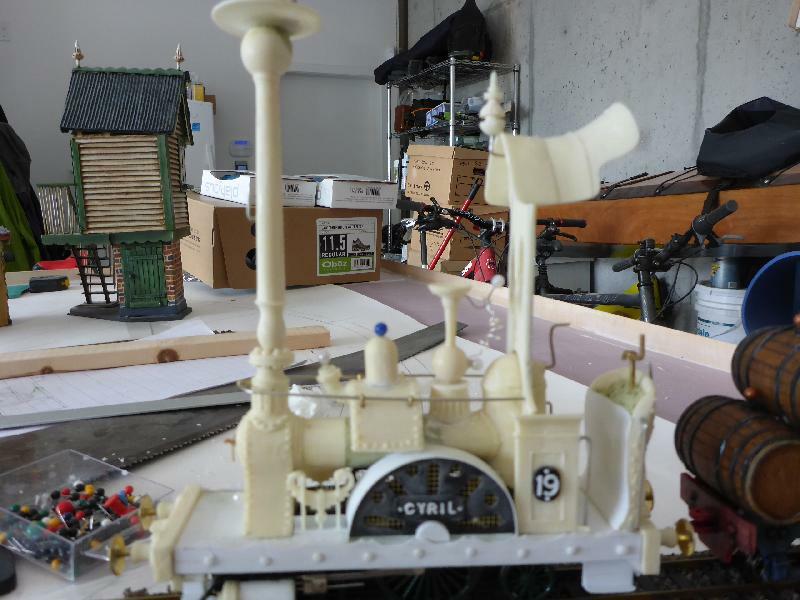 The engine is named "Cyril" after my late grandfather - not a very common name now. Its no:19 in my fleet of mainly Smallbrook Studios GN15 Emett fleet on my fictitious "Much Gnattering and Far Twaddle light Railway". The name "Gnattering" is in honour of Steve Bennett (pepper 7) who produced one of the first GN15 kits called the "Gnat". I know he's been away from modelling and kit production for some time and I wish him a safe and speedy return to this arena. 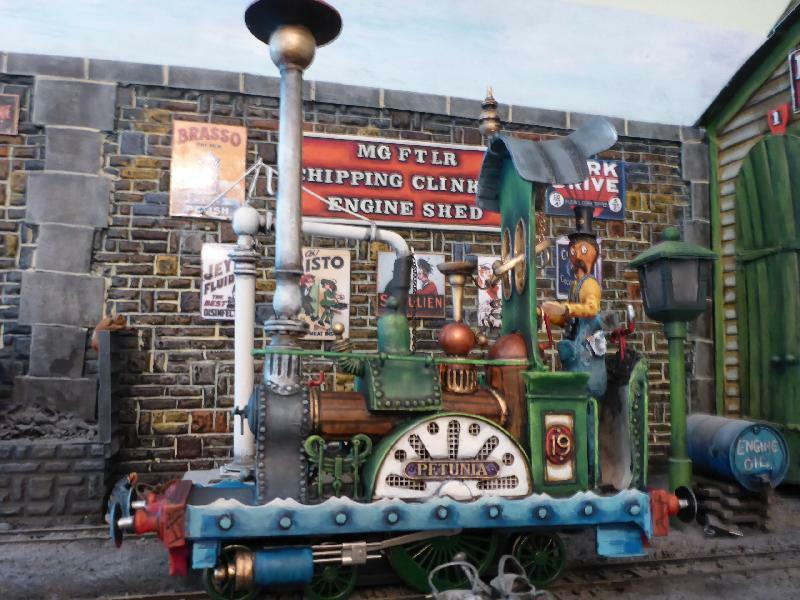 A big thanks must also go to Mike Rayner of Smallbrook Studio who produced the first GN15 Emett inspired model (Nellie). Also not forgetting my fellow GN15 and other scale narrow gauge enthusiasts who have posted wonderful engineering creations and works of art and not forgetting those behind the scenes that devote time to running and incurring costs (thank you Tom) in keeping this forum active. A treat to see! Excellent craftsmanship. Mark - its good to see Emett based models here again. Does cyril have a working large driving wheel or is there a smaller wheeled driving chassis under there? You may be interested to know that Emetts 'Cloud Cuckoo Valley' is currently on display at Compton Verney (near Stratford on Avon) http://www.rowlandemett.com . 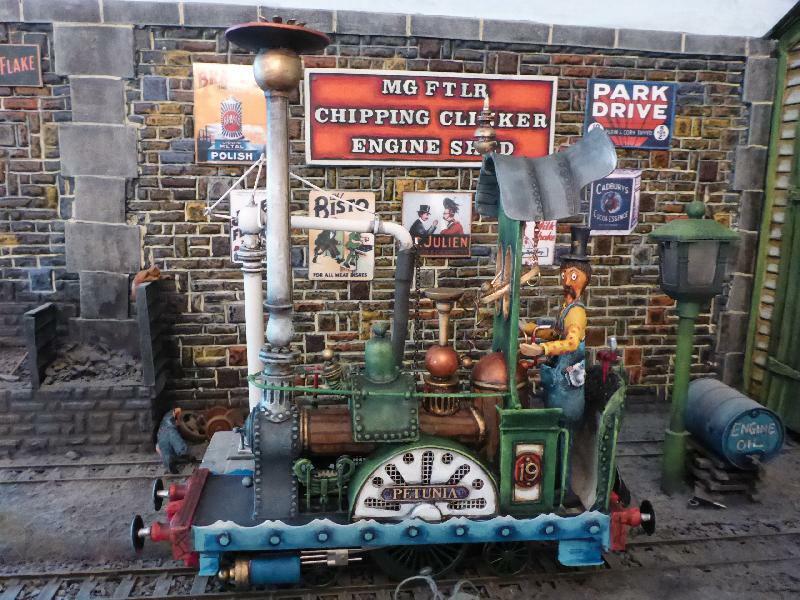 We are going to this exhibition next week for some revival of ideas for my long awaited GN15 layout. See my previous posts for the TP&K Railway. I really should have read your post and realise that you are a long way from Stratford on Avon. There's a really good film of this on YouTube but I can't get the link to work here. Try searching for A Quiet Afternoon in the Cloud Cuckoo Valley. 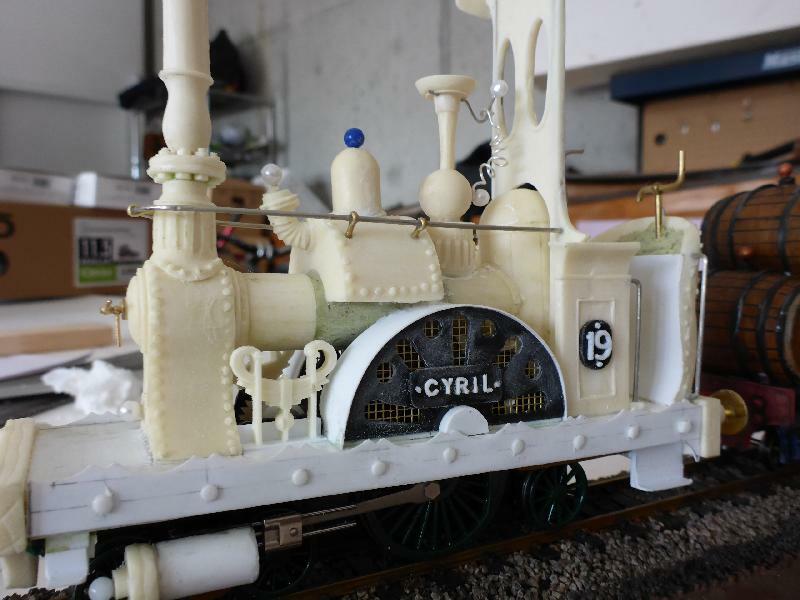 "Cyril" is powered by a Bachmann Emily chassis and I believe the large central driver does all the work. Although the "White notation" 4-2-2 wheel arrangement applies, the 4 wheels at the front are not a bogie, but set in a rigid frame. It's able to deal with short curves and the second pair appear to be fairly free moving. I'm a member of the Rowland Emett society and receive their regular newsletter. I remember as a small child riding on the real 15" gauge railway in Battersea Park, although by this time the Emett engines (Nellie, Wild Goose and Neptune) had long gone. I'll post more once I get the paint job one. Cyril is currently primed. Warm regards and happy modelling. Well, I completed my version of "Antimaccasser" and there have been a few changes. I found some etched brass nameplates that I had previously ordered from "Narrow Planet". I had a look at the size, and found that the nameplate "Petunia" fitted perfectly on the wheel arch. Although I don't normally like re-naming locos, the nameplate was the final touch. I will have to remember my grandfather in another way. Here are some photographs. In the view above, you can see that driver Firestone is a little apprehensive about taking the new loco out from the shed. Well that's all for now. 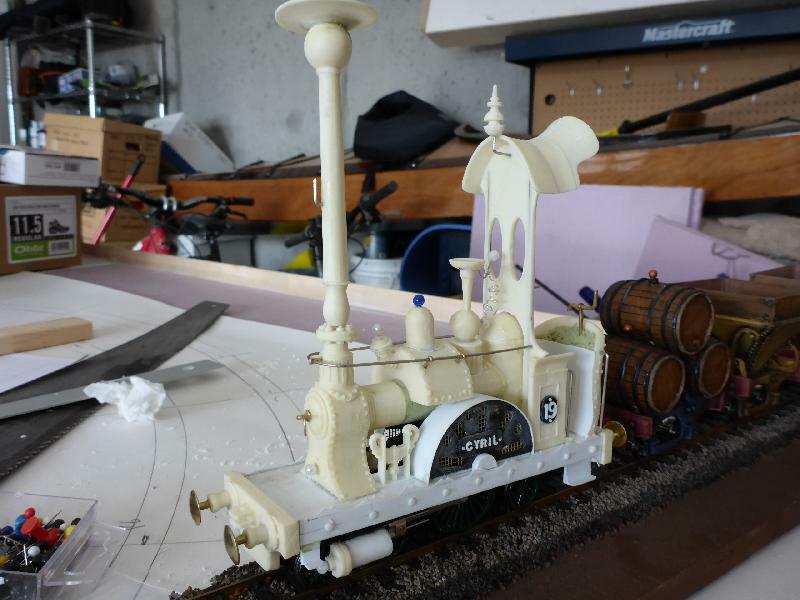 The winter will be used for laying track on the lightweight doam baseboard I've built in order to run collection of Emett style engines. Brilliant photography.... and modelling too, by the way. Absolutely stunning. A beautiful loco. Thanks for your kind comments Chris and Gavin. I always seem to get distracted from building somewhere to run my "Emettesque" collection of engines and stock on. But I mustn't forget that in this forum I see other modeller's work and it amazes me what brilliant talent there is out there. All very inspiring. Warm regards, please keep posting and happy modelling.